Ceetron Analyzer Cloud is an all-in-one solution to the multi-solver post-processing needs of the general simulation engineer working in the cloud: native reading of all major solver formats, FEA and CFD; high performance; stunning visual quality; all devices, from the smallest pad to the largest engineering workstation. 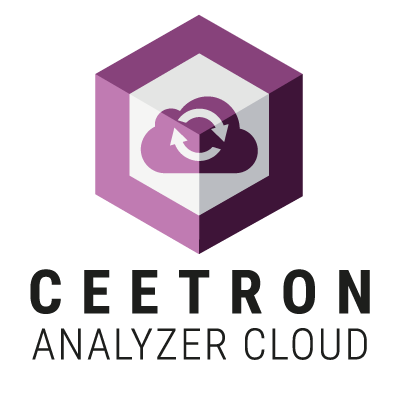 Ceetron Analyzer Cloud is typically used in any of three configurations: as part of Ceetron Cloud 2.0, as part of Ceetron Cloud 2.0 Private, or as a stand-alone, solver-centric post-processor for a cloud-based solver. If you are working with desktop-based workflows, we rather recommend Ceetron Analyzer Desktop. 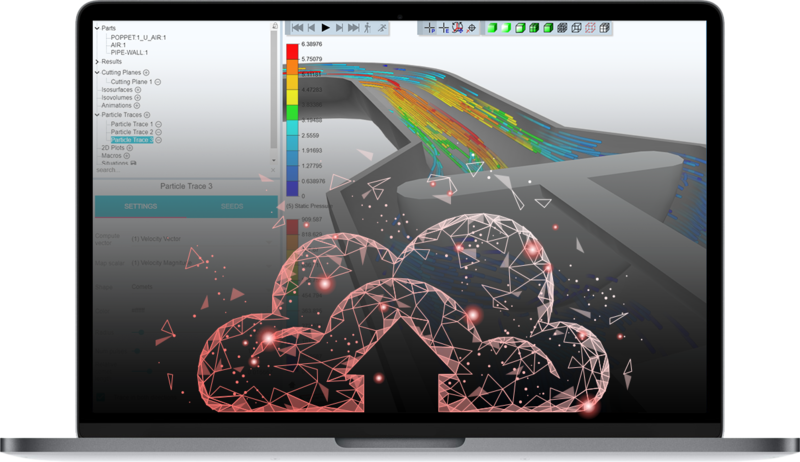 Ceetron Analyzer Cloud has direct import Interfaces to most major CAE systems including, but not limited to: ANSYS, ABAQUS, FEMAP, I-DEAS, MSC.Marc, MSC.Nastran, NE/Nastran, NX Nastran, LS-DYNA, RADIOSS, PAMCRASH, FLUENT and CGNS. The file readers are kept up to date with new format releases from the CAE vendors. Our commitment to release frequency and competence in reader development ensure that you will, in practice, not run into lack of support for new file format versions. Ceetron Analyzer Cloud is based on client-side rendering, with WebGL as the only client-side requirement. In fact, Ceetron Analyzer Cloud runs smoothly on any meaningful device for engineering workflows, ranging from pads to laptops to the largest engineering workstations. Best of all, desktop-like performance based on Ceetron’s unique client-side rendering technology. Try that with server-side rendering / remote desktop. Because you don’t want to stifle engineering productivity, accuracy and innovation with low interaction performance. Due to offloading all the rendering to the client device, the Ceetron Cloud visualization technology only cost a fraction to deploy and run on remote servers. Your servers are free to serve other clients/task while the user is interrogating the model. Ceetron Analyzer Cloud is built for today’s collaborative engineering workflows. Using the One-click sharing, you can share any model directly from Analyzer through its “Send to Cloud” button. You can share the model with your engineering peers, whether in other disciplines, other offices, external service providers, or customers. Ceetron Analyzer One-click sharing can be configured to support public or private cloud infrastructures. 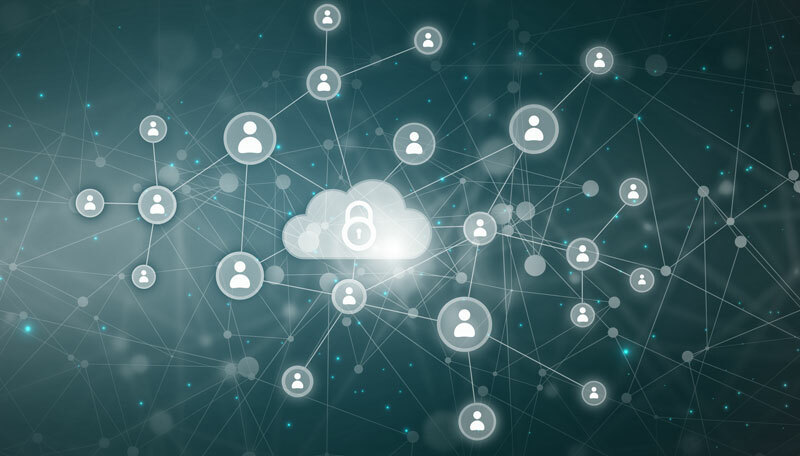 Ceetron Analyzer Cloud can be delivered as a skinned product, typically in combination with private cloud installations. It may also be delivered as source code. Which means that you can create your own version of Ceetron Analyzer Cloud. Ceetron Analyzer Cloud is browser agnostic, any modern browser with support for WebGL will do. No plug-in, no installation, just raw visualization performance. Ceetron Analyzer Cloud can be run on any device, from a (large) smartphone to engineering pads to high-end workstations. 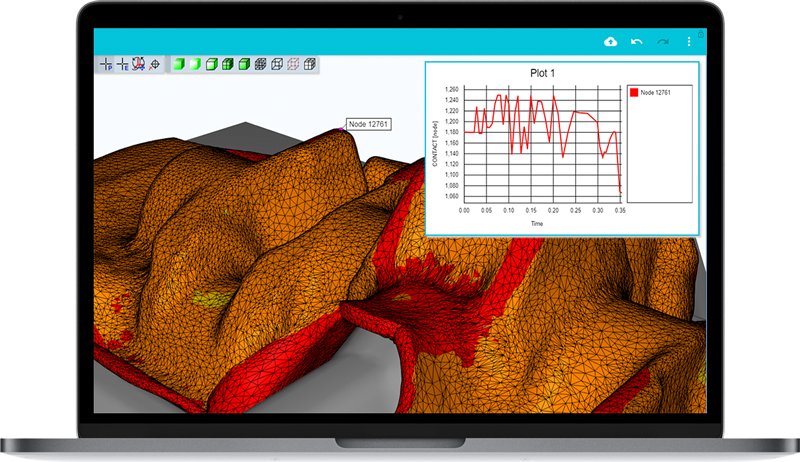 Ceetron Analyzer Cloud is a post-processor for visualization, analysis, interpretation and presentation of FEA and CFD data. 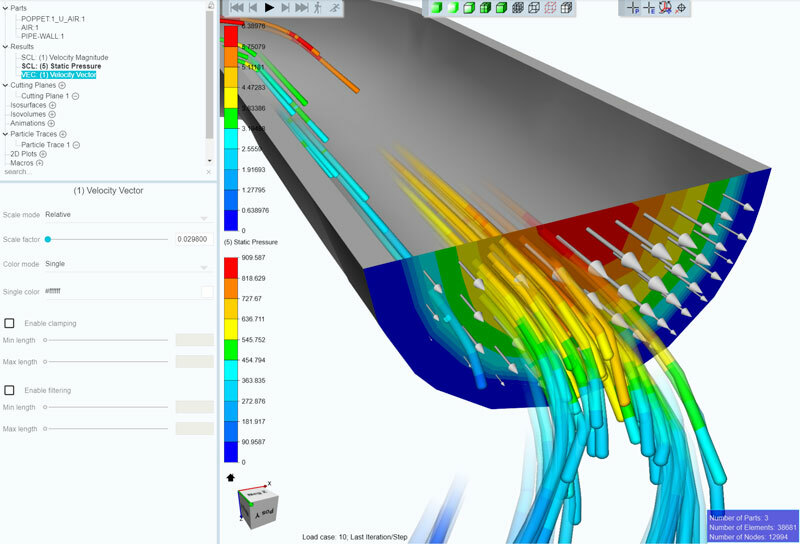 Powerful overview and selection of load cases and results to display. Advanced result mapping and handling for efficient interpretation and analysis of results. Support for multiple scalar fields. Predefined and user defined color legend schemes. Each scalar field can have its own configurable scalar legend. Filtering on components or absolute values. Mapped onto cutting planes, isosurfaces and isovolumes.